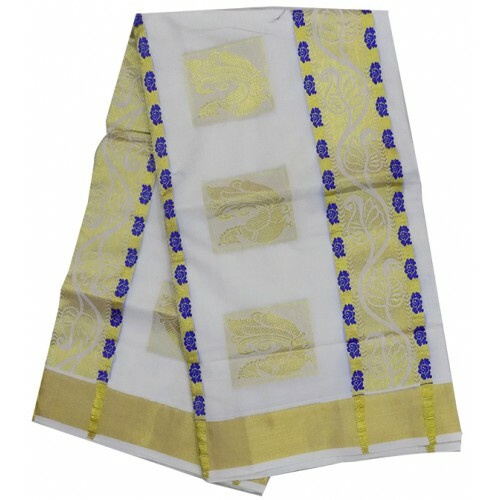 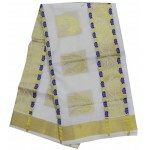 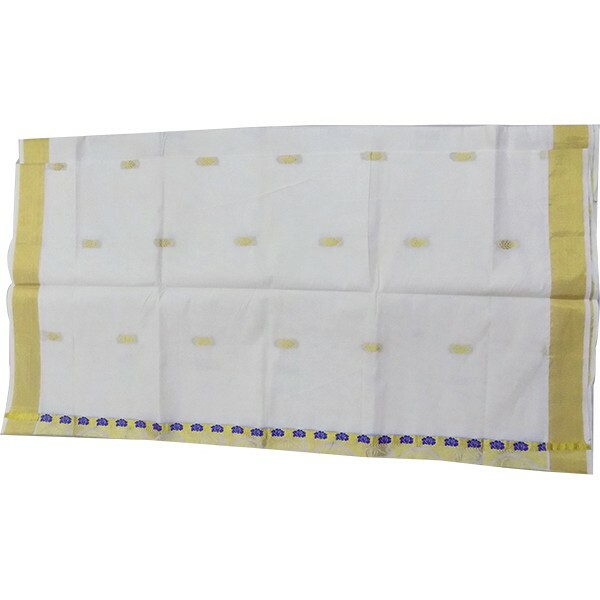 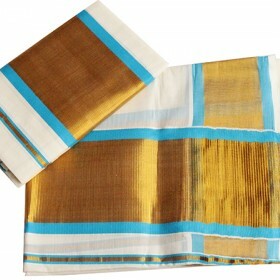 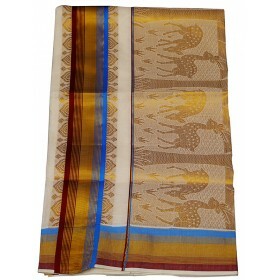 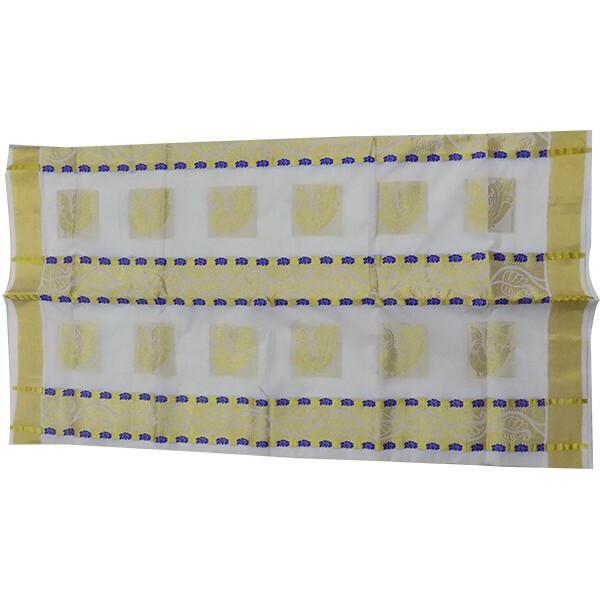 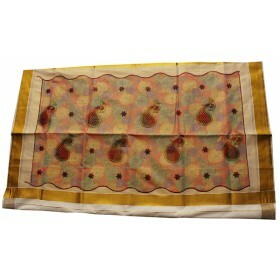 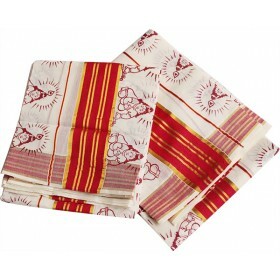 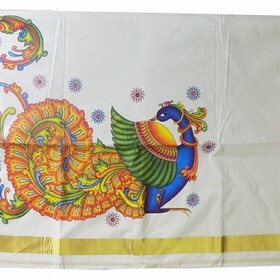 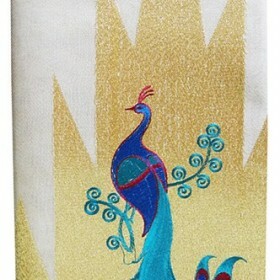 Here is a traditional Cream colour set mundu with sky blue and big kasavu border from Malabarshoppin..
New exotic Kerala tissue settu saree having an excellent golden temple kasavu work with peacock embr..
Kerala kasavu churidar with off white color having golden patch work in it. 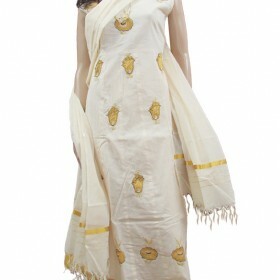 This is anarkali model f.. 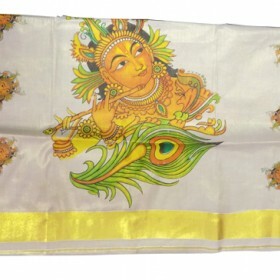 This is a kerala tissue mural saree on that we designed attractive mural krishna design on the borde..
Kerala traditional simple thread work kasavu saree is more attractive than other designs and also hand loom Saree floral pattern with thread work on body and pallu. 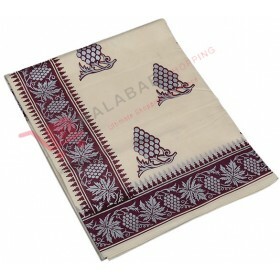 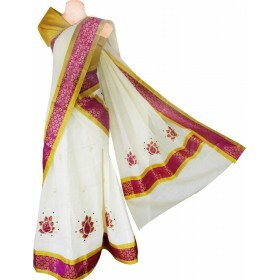 Running blouse piece attached, in white and zari border. 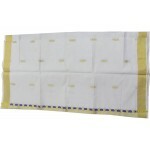 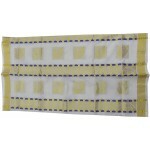 Total length -6.25 meter, Width - 44 inch Gentle hand wash recommended.